The Deschutes River Conservancy’s (DRC) Water Leasing Program has just secured funding from Intel Corporation that will be used to protect 81 million gallons per year in the Middle Deschutes River (downstream from Bend, Oregon) during the peak-summer irrigation season. For over 100 years, summer flows and water temperatures in the Middle Deschutes have been heavily impacted by upstream irrigation diversions during the hot summer months. 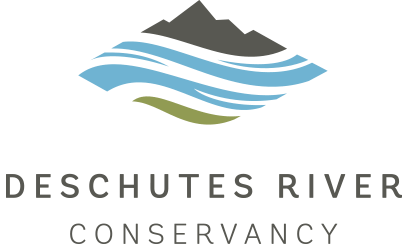 The Deschutes River Conservancy’s Water Leasing Program restores over 14 billion gallons of water per year (60 cubic feet per second) to the Deschutes River Basin, and 30% of the summer flows in the Middle Deschutes. Intel’s generous long-term commitment will help the Deschutes River Conservancy move closer to its instream restoration goal of 250 cubic feet per second. Water is essential to manufacturing semiconductors at Intel and over the last two decades the corporation has conserved billions of gallons of water and returned approximately 80% of their water use back to their communities through sustainable water management efforts, investments and partnerships. Now with a broader focus, Intel is working toward restoring 100% of its global water use by 2025. In addition to the Deschutes River, Intel is supporting conservation groups working on the Price River (Utah), Lower Salt River (Arizona), Verde River (Arizona), Willamette River (Oregon), Tualatin River (Oregon), Colorado River (Utah), and the Rio Grande (Colorado & New Mexico). Additionally the program is supporting the restoration of critical habitat for migratory birds in Central Valley, California. About Intel in Oregon: Since establishing operations in the state in 1974, Intel has invested more than $40 billion in Oregon to develop advanced high-tech manufacturing capacity. With 20,000 employees across four campuses west of Portland in Washington County, Intel develops and manufactures microprocessors that power data centers and hundreds of millions of smart and connected devices worldwide. Previous article: Meager snowfall this winter has left the question in our minds: What’s in store for water supply this year?